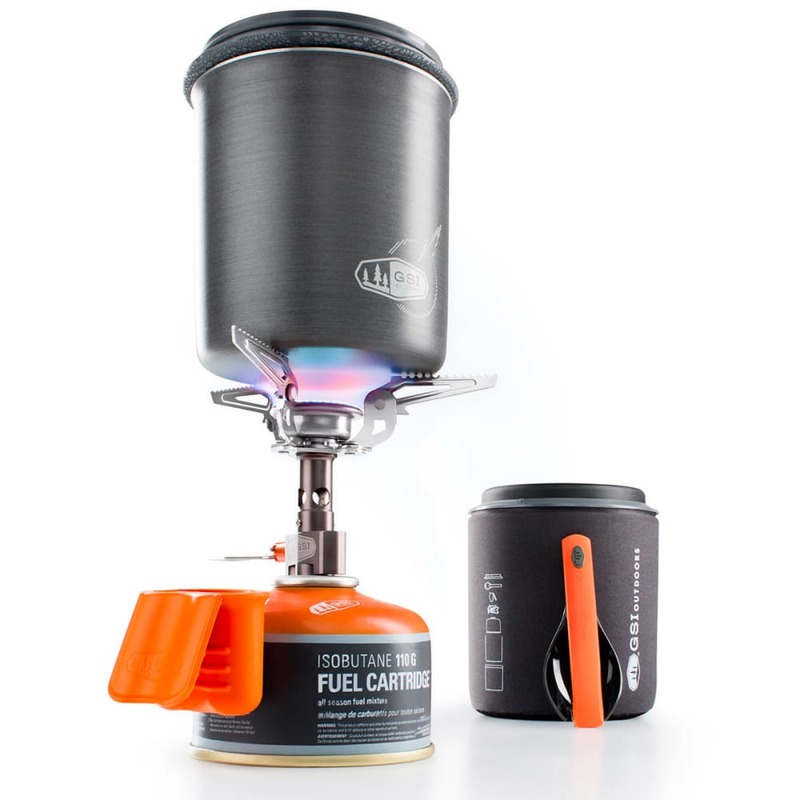 Cook without compromises for yourself on the trails. 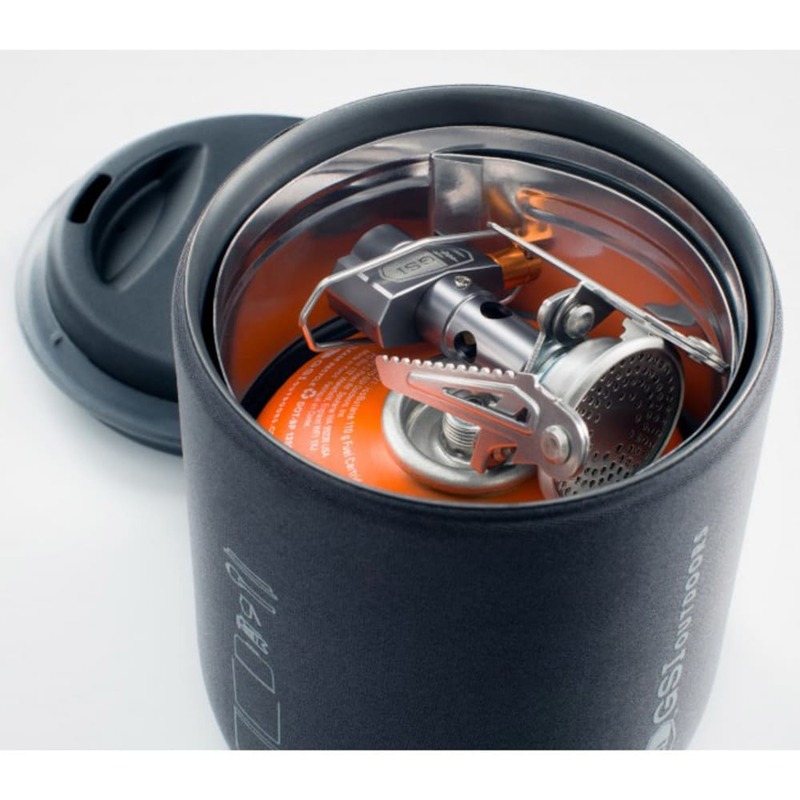 With this one-person complete minimalist cooking solution, high-performance, lightweight parts assist with making hot meals and drinks without leaving much of a footprint behind. 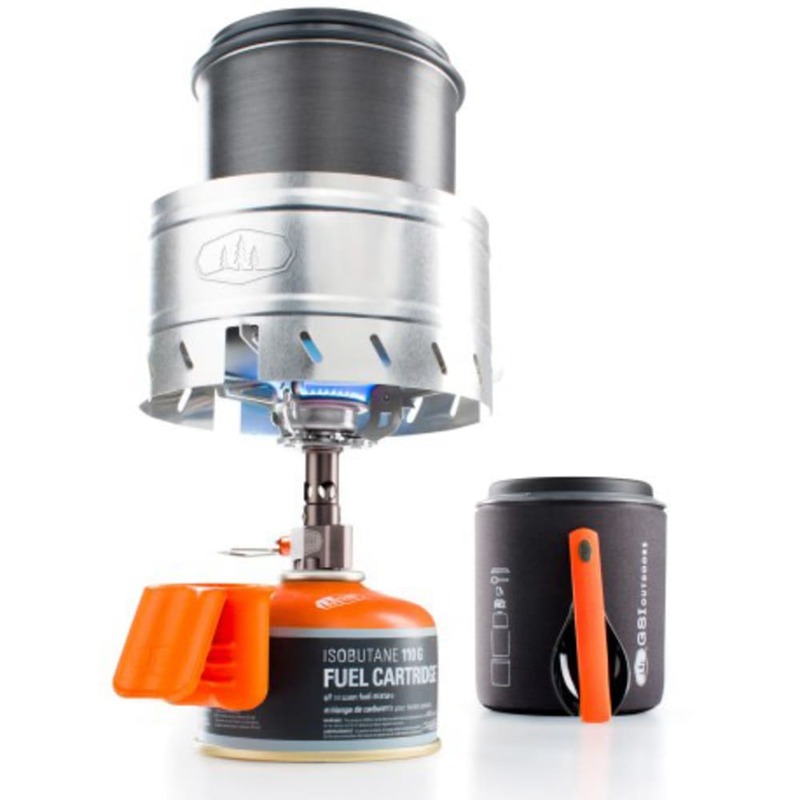 Within this versatile and economical setup, you get a high-output Pinnacle stove with an integrated windscreen, an insulated cozy, and a Foon. 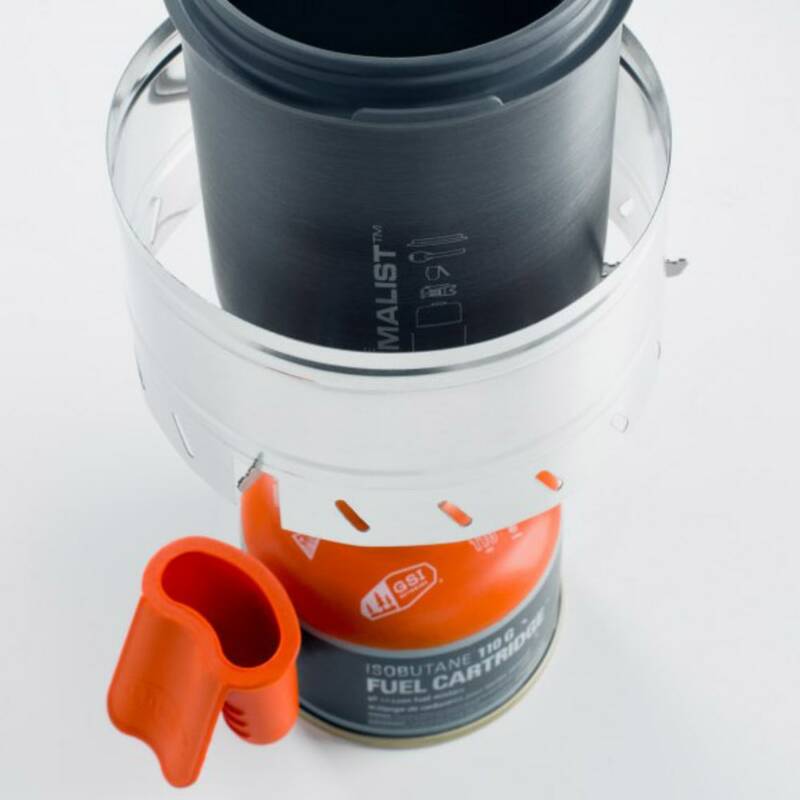 To use, the pot and lid boil water for pouch meals and then, by inverting the lid and slipping the pot into the sleeve, become an insulated mug.